The mini-lesson will give your children the direction and support they need in order to grow as readers and work independently and successfully during work time. The mini-lesson is a period of direct and explicit instruction. Teach only one literacy objective and be explicit in explaining how learning this teaching point will help your children as readers. Use a gradual release model, in which you first demonstrate the teaching point and then give the children guided practice. The mini-lesson supports children in seeing the teaching point in action and practicing it under your guidance. Linking the work they just did with you to the work they will do on their own helps prepare them for independent reading during work time. Gather the children together in the whole group meeting area for your lessons and their sense of themselves as a community of readers will develop as well. Connect - Set the context by describing the learning that has been taking place. 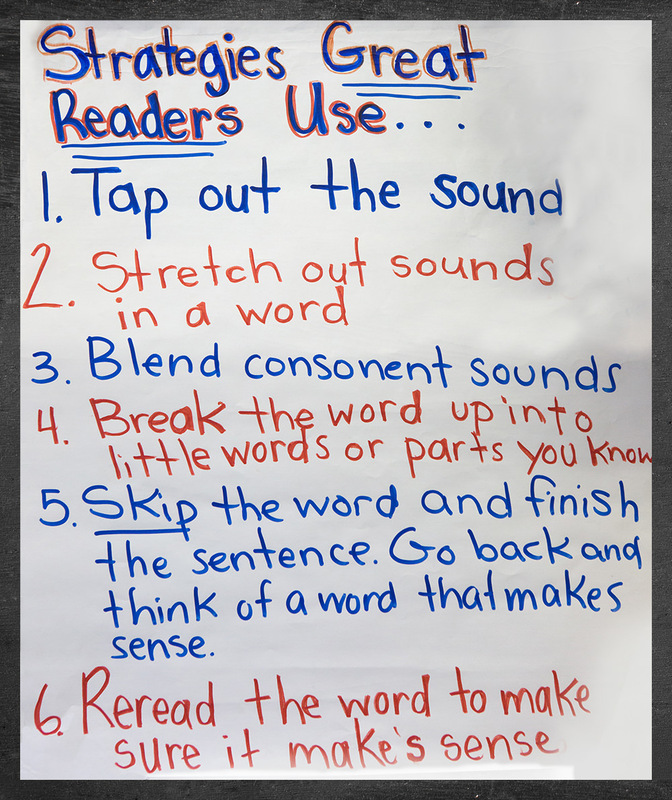 Explain what you’ll be teaching them (that is, what the literacy objective is) and why it will help them as readers. Teach – In this part, blend together explanation and demonstration. Explain what your demonstration will be then model the behavior, skill, or strategy. Additionally, in order to help children “see” what is happening as you process a piece of text, for example, think aloud about your process. Have-a-Go – Give the children hands-on practice with the teaching point and assess their understanding. This takes place while the children are still in front of you in the large group meeting area. Link – Restate the teaching point one more time. Encourage the children to plan and commit to applying it in their independent work. Remember, the mini-lesson is designed to be brief in order to make sure that the majority of time during Reading Workshop is devoted to children reading. By sticking to this architecture and keeping questions and discussion to a minimum, you’ll be able to do just that. Offering consistent language scaffolds throughout will ensure that your language learners are included and supported as well. The connect is the first part of the mini-lesson and important because it sets the stage for children’s learning. Consider the language your children will need to know or be familiar with in order for the lesson to be successful and the scaffolds you can use to support them. Start by contextualizing the lesson. “I noticed many of you are having difficulty choosing just right books, so let me share with you one strategy I use when I want to choose a just right book. During the mini-lesson you have the opportunity to let children “see” what your teaching point looks like in the hands of the most experienced reader in the room – YOU! Through a combination of explaining, demonstrating, and thinking aloud, you can help make the implicit (the active reading in your mind) explicit. Describe the specific skill, strategy, or behavior you want the children to learn. Carefully consider the language you use in your instruction. Use familiar cues such as “Let me show you what this looks like…” or “Let me show you what I mean…” to signal to the children that they need to get ready for your teaching demonstration. Model the skill, strategy, or behavior. Often, familiar books or mentor texts are used in the demonstration. Texts children are familiar with allow them to focus on your demonstration instead of the plot or content of the text or excerpt. When using a mentor text you lower the anxiety of your language learners because they already have experience with the text and some level of success understanding it. “What’s wrong with you?” growled the wolf. “Can’t you see I’m a big and dangerous wolf?” “I’m sure you are,” replied the pig. “But couldn’t you be big and dangerous somewhere else? We’re trying to read. This is a farm for educated animals. Now be a good wolf and go away,” said the pig, giving him a push. In every mini-lesson, you will want to give children guided practice with the teaching point. This active engagement portion of the mini-lesson, also called have-a-go, occurs when the children are still gathered together in close proximity on the rug and should only take a few minutes. Remember to match the have-a-go to your teaching point so the children have some hands-on practice in preparation for their independent application of the skills or strategy later on. For example, if you demonstrated for the children how to use a glossary when reading non-fiction, then the have-a-go would allow them the chance to use a glossary right then and there. This important component of the lesson ensures that children have an opportunity to apply the new strategy with guided support. Trying it out helps them remember what you taught so they can use this strategy or technique during that work time or at some later point when they need it. Be sure to circulate among the children during the have-a-go. This guided practice time also offers you a quick assessment of how they are managing this new skill, strategy, or behavior and you can identify individuals (or groups of children) who may need extra practice. As you consider the diverse needs of your children, remember child pairing as a possible support structure for children to begin to master the new strategy or technique. Before you send your children off to work independently, offer them some guidelines so they feel prepared to begin the thoughtful work of active reading. Make sure to reiterate your teaching point and direct the children to think about how they can use the teaching point that was made. Use the same language in the link as you have in your connection and teach. Consistent language with identified scaffolds (for example, key vocabulary with visual cues, sentence frames, etc.) will assist children in understanding what is asked of them. For example, if you called your teaching “making mental images” in your connection, then restate it the same way in your link. Consistency in your scaffolds will also ensure all children know exactly what supports they can access when working independently. It’s important to remember that not every child in your class has to commit to working on that specific skill or strategy. For example, if you taught your first graders to use repeated patterns in books to help them with their reading, not every child may be reading a repeating book that day so they won’t all need to apply it. However, this is a tool that they now have exposure to and they can add to their reader’s toolbox to pull out when necessary. We can convey the expectation that children should try this at some point – in the next workshop or during the following week. Oftentimes, children are motivated to try what we taught when we end the mini-lesson by saying, “If you try this strategy today, please let me know.” When you are NOT asking all children to try out what you’ve taught them, be sure you have provided an alternative for what they can do during their independent work. You can ask the children, for example, to give you a “thumbs up” if they feel ready to use the new skill or strategy; or a “thumbs down” if they have a few more questions and would like to talk more with you on the rug before beginning their work. Then, dismiss them from the whole group meeting area to their reading spots. Make sure to be consistent in this transition so it occurs in a smooth and orderly fashion. Be aware that language learners may not advocate for themselves in the ways suggested above; therefore, make sure you have embedded extra check-ins with them during work time.